Wave city present low-rise ground and 2 story building wave floor having 2bhk,2bhk with study room and 3bhk in sector3, 4 and sector 5 in Wave City NH24.Wave Infratech presents Wave City, experience the wave of trust. 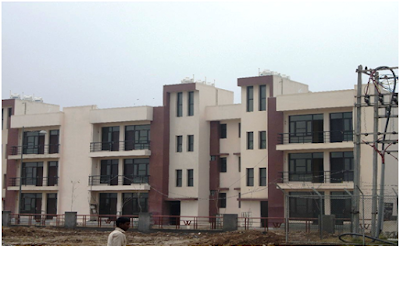 Wave City NH-24 Ghaziabad is a self-sufficient city with the First phase spreading over 1671 acres. Designed by the world-renowned city planners, Bentel Associates from South Africa, It is a new age city, which appeals to every aspect of urban design principles. This ultra modern city has been meticulously planned with emphasis on open areas and ambiance that would pamper your senses and bring you all the leisure of the urban life. With more than 200 acres of greens, wide congestion free roads, Hi-Tech Garbage Control system and BRT (Bus Rapid Transit System), Wave City, is a city full of vigor and vitality, designed to take care and bring smiles to all its citizens. The landscaping for this extravagant city has been done by world-class landscape planners, as they gave shapes to your dreams. 30 mins from Delhi on NH-24 and milliseconds from your dreams, Wave City truly provides unmatched location advantage. With the first phase spreading over an area of 1671 acres, the city is just 10 mins from Indirapuram and also falls on the planned Faridabad-Noida-Ghaziabad Expressway, which is a proposed eight-lane carriage highway and will connect the City directly from Delhi and further to Lucknow. The City can be accessed via the G.T. Road, another important route connecting some of the most significant industrial towns of UP. PLC will be clubbed with the basic Sale Price. Cheques/Bank Drafts to be issued in favor of "Wave City NH-24" payable at New Delhi only. Outstation cheques shall not be accepted.